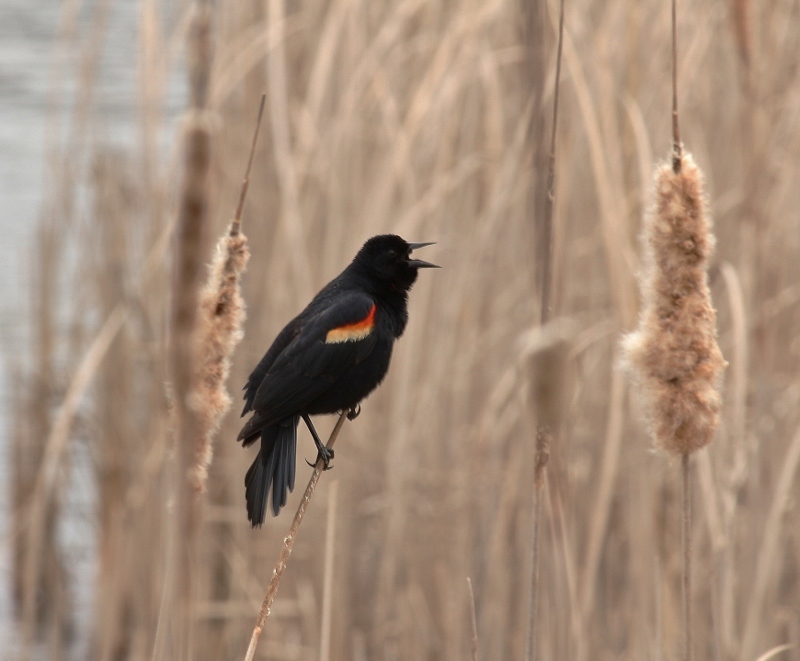 Last Friday I started hearing people saying they had seen their first Red-winged Blackbirds of the season, and I thought it might help me deal with this agonizingly long and harsh winter if I could see my first one too. So I hopped in the car and drove a few miles to Holland Ponds, a place I often see those joyful harbingers of spring. 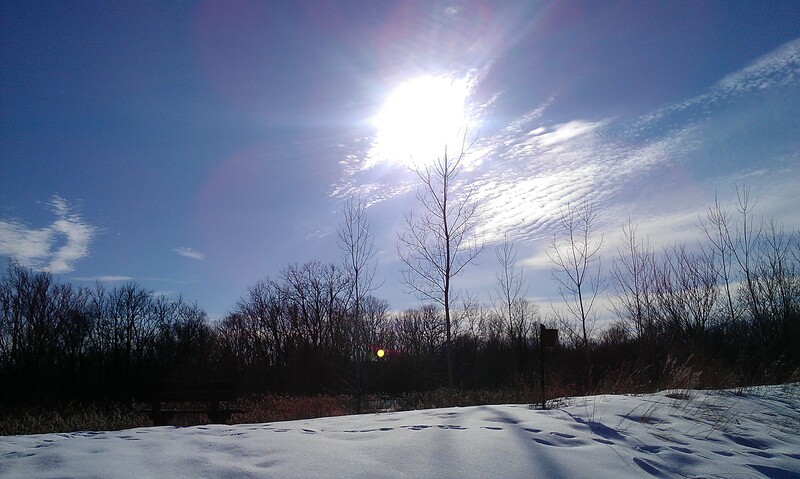 It was a beautiful day, with the temperature in the low 40s. Compared to the frigid temps we’ve been dealing with for months, it felt absolutely tropical. I was in heaven as I walked slowly down the path, gleefully stepping in the mud puddles that had replaced the treacherous, slippery surface that challenged me when I’d visited a few weeks earlier. I turned my face to the sun and inhaled fresh air deep into my lungs. I could feel my body beginning to heal from the months of being cooped up indoors. On my first few walks every spring I always feel like a kid being let out for recess, running and jumping for joy. 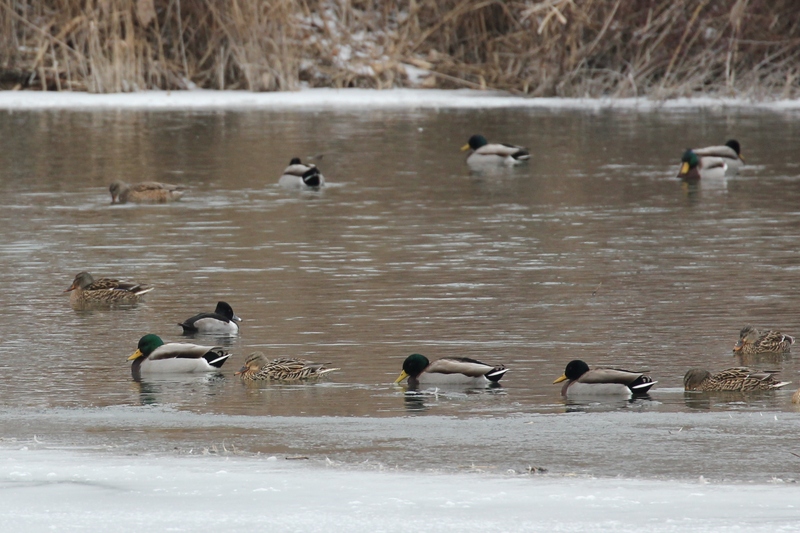 The small pond was still mostly frozen, but several dozen Mallards swam in a small open water area, accompanied by two Ring-necked Ducks. I remember this same flock composition at this location from last year — just a couple Ring-necks with the other ducks. Interesting. There were no signs of kingfishers yet, but I know they’ll be here soon. I saw three bluebirds singing from perches high atop the tallest trees, flashing their brilliant blue wings as they jockeyed with one another for the best spots. 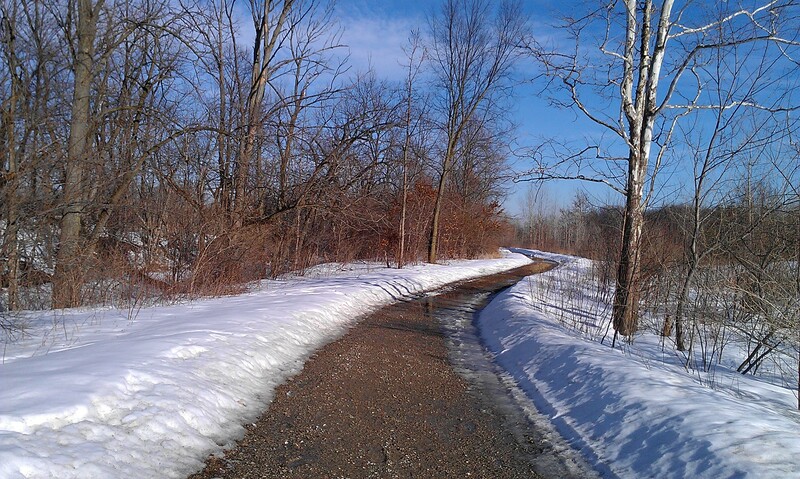 I headed out the trail toward the woods, hoping the path to the river was passable. 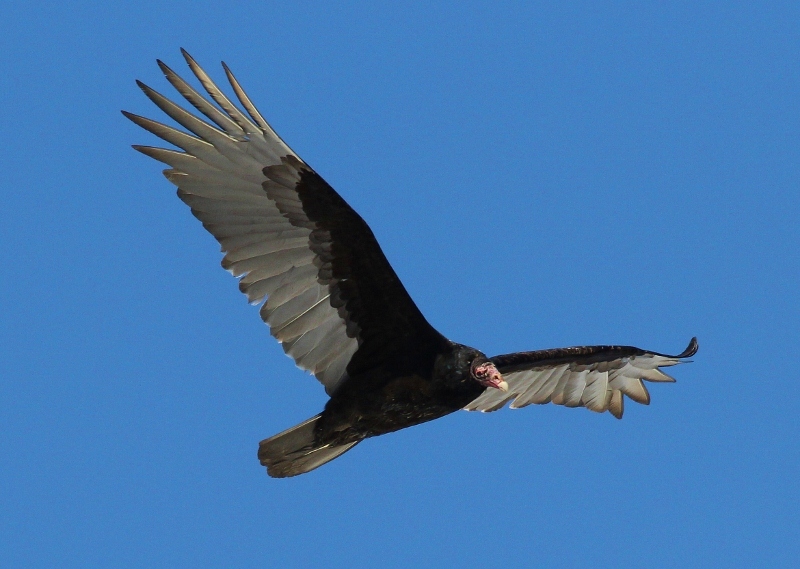 Along the way I spotted a Turkey Vulture coming toward me. I quickly swung my camera up and started shooting as it flew in ever-tightening circles directly above me, coming lower and lower. For a few seconds I found myself holding my breath as I wondered if it was actually coming FOR me. After he decided I was a bit too fresh for his taste, he moved along and I continued toward the woods. 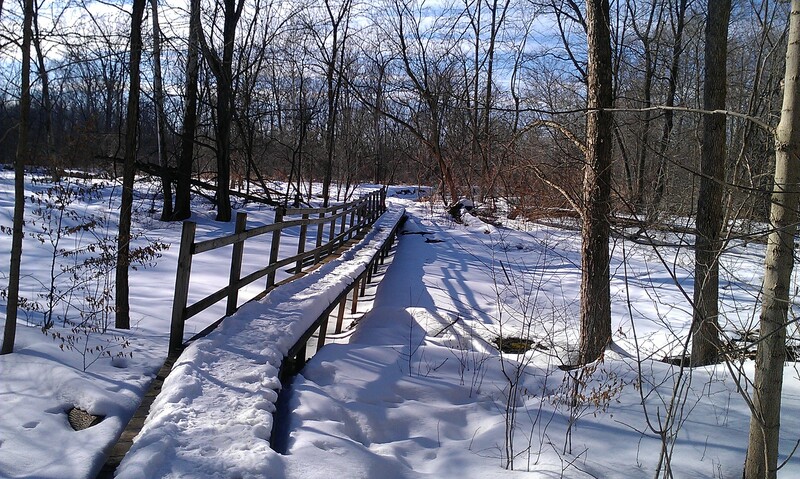 The path through the woods wasn’t cleared, but it wasn’t too difficult to navigate. I spent some time scanning the trees for owls, and then went down the steep, icy stairs, anxious to see how much of the river was thawed. 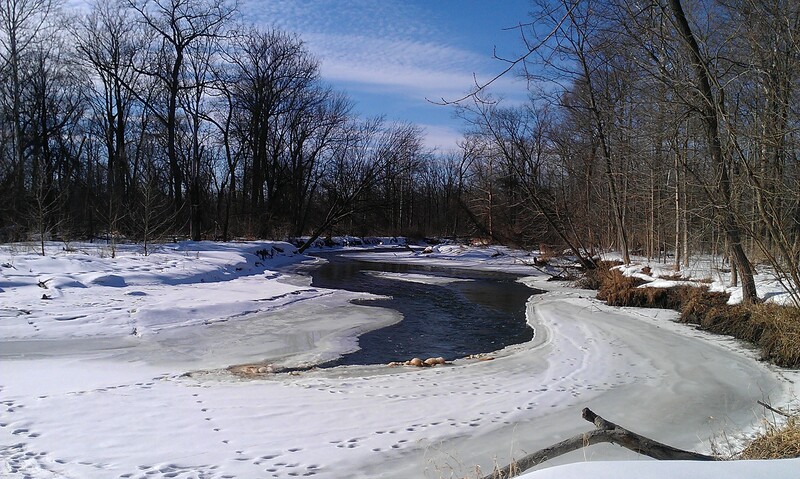 I was happy to see some water moving in the Clinton River, but it still had a good amount of ice on it. I spent some time walking along the banks enjoying the peace and quiet, then headed back up the hill, pausing to search for the source of some loud drumming on a distant tree. I thought it must be a Pileated Woodpecker but couldn’t confirm that. This is my favorite time of year for walking in the woods because there aren’t too many other people out there yet. The only time I don’t have to fear being a woman alone in the woods is when it’s too cold for the bad guys to be out there. In warmer weather I always have to be on alert for someone who might have bad intentions, but when it’s cold I can really relax and enjoy the silence of the woods and the singing of the birds. It’s a sad reality in our society that a woman just can’t go hiking as easily or spontaneously as a man can; we have to be afraid. 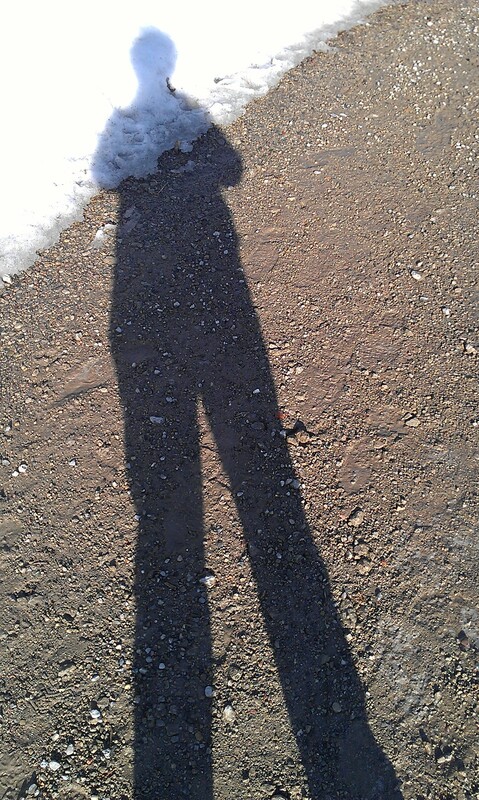 Even on this day there was a man who kept walking back and forth near me, seeming to pay too much attention to me. I headed into the really muddy section of the trail to get away from him, because he was only wearing sneakers and couldn’t follow me there. 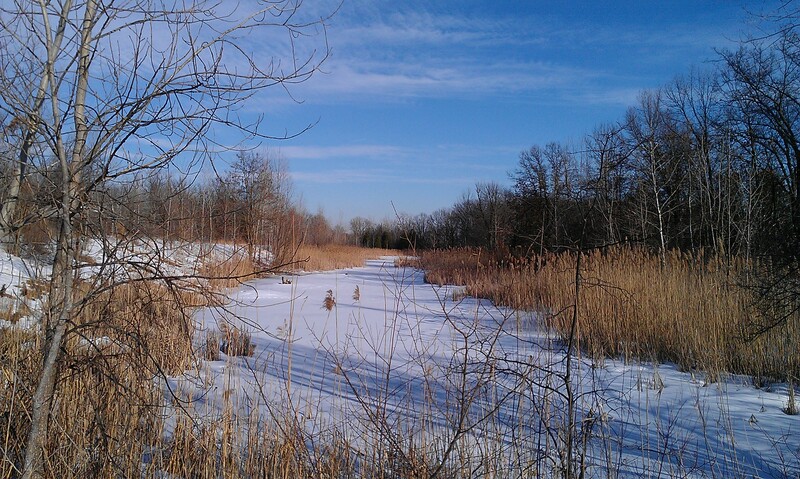 There’s a large heron rookery in the trees to the right of the marsh in this photo (you can’t see it here though). I scanned the nests with my binoculars in case any of the herons had shown up yet, but didn’t see anyone on the nests. Quite a few of the nests at this rookery were destroyed last year when the trees started crumbling below their weight, so I’m curious to see how much of the colony comes back this year. 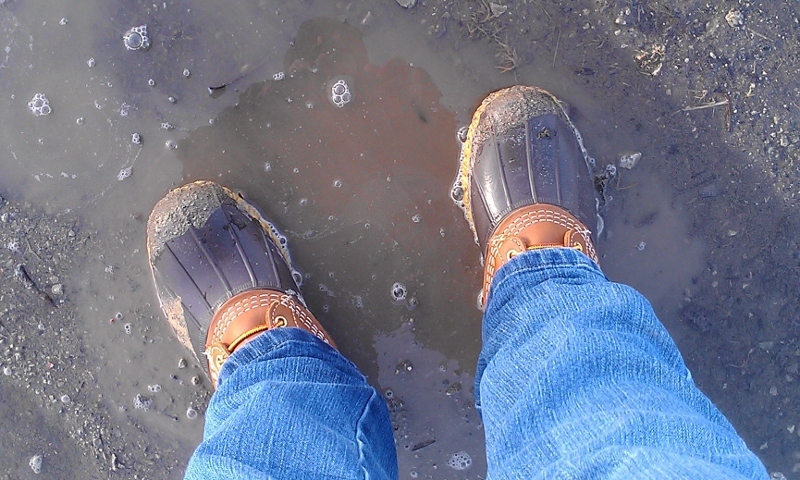 It’s sort of becoming a habit to take a photo of my muddy boots when I go on these spring hikes. I think I like to have proof that I’m no longer the prissy girl who didn’t like to get dirty. My boots are an important sign of personal growth! By the way, I didn’t find my Red-winged Blackbird that day, but I saw one a couple days later when Eric and I went to see Snowy Owls in Lenawee County (at the Michigan/Ohio border). 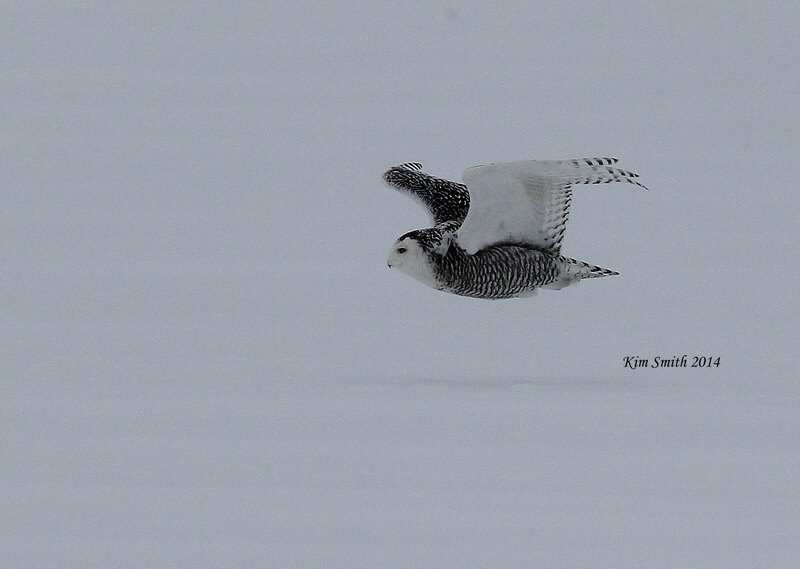 The birding community has had a wonderful time this year enjoying the historic number of Snowies that came south for the winter, but they are starting to move back to their Arctic home now. 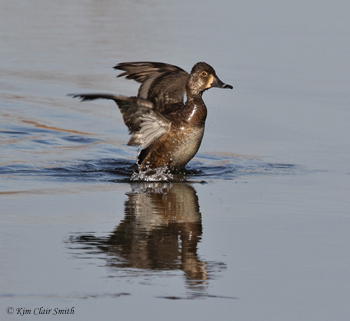 I only saw four of them this year, and had been hoping to see one in flight instead of just sitting still. 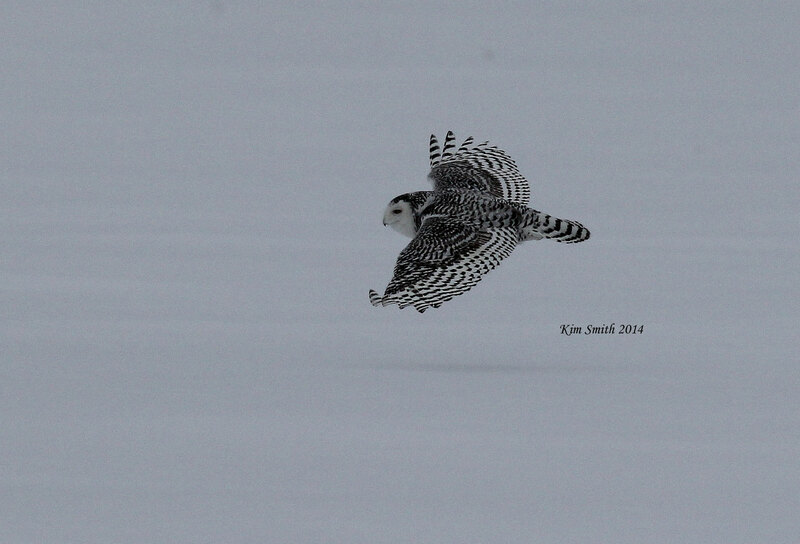 My wish came true finally, and I was able to cature a couple photos of this beautiful owl as he glided only inches above the snowy field, his 5-foot wingspan controlled with the precision of a fighter plane. It’s a bittersweet feeling now, knowing that they’re leaving. I’ve loved knowing that these magnificent birds from a far-off place were here, near my home, all winter long; but I know they need to go back home now. Safe travels, my friends. This entry was posted in Migration, Walking in the Woods and tagged Migration, Renewal, Spring. Bookmark the permalink. Beautiful photos! So glad you are getting a taste of spring. Please, Mother Nature, can spring come over and play? Wonderful pictures! I would be a bit nervous too if I had a turkey vulture circling above my head. I saw one last week when I was driving to Vancouver. It was sitting on a post near the highway. Your Snowy Owl pictures are amazing. Such beautiful birds! “Although, given the winter you have just endured I have to say your heart might take awhile to thaw out.” You’ve got that right, Kristie! It’s funny how just having someone else acknowledge what we’ve been through makes it a little easier, so thanks for that. So many people don’t really understand the full emotional impact of a winter like this. But I guess I didn’t either, before this year. For the first time in my life I’m seriously considering moving to a warmer climate! Oh my GOSH, those snowy photos are breathtaking! What a thrill that must have been to capture such stunning flight! I love the vulture too, my sign to “glide and soar”. Like you, I no longer venture out much without a weapon of some kind on my person – and my cell phone. I try to walk confidently and I’m alert. Being aware of my surroundings and having an alternative route or plan on my mind is a must. Yes, getting older has its perks, LOL. Since I fell in love with birds, and birds led me to a deeper connection with all of nature, my gear and wardrobe have expanded to include backpacks, boots, hiking poles, and long underwear. I can’t imagine going back to a nature-deprived life ever again…it’s SO much better this way! Great Snowy photos. After seeing them several times a week all winter, I will miss them. I had to chuckle at your comment about getting your boots dirty now but not as a girl. I’m the same way. As a child, I would wet a wash cloth and put it in a baggie to take with me when we were going places outdoors away from home. However, I’m a long time gardener and have a career in the greenhouse industry.